Our conference venue has won Trip Advisors Certificate of Excellence for the last 3 years in a row!! 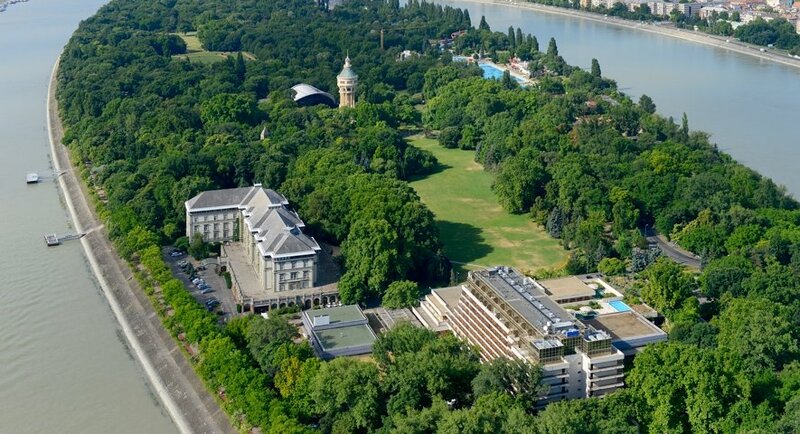 The hotel sits on Margaret Island in-between Buda and Pest! The hotel boasts indoor & outdoor pools / Steam baths / Jacuzzi's / Saunas / Aroma Cabins / Sundecks / Wellness Treatments and more! You are sure to fall in love with the atmosphere of this quiet island in the centre of the vibrant capital. It's no coincidence that the Margaret Island wellness hotel, with its thermal water springs, has been the choice of generations! You may not want to return to everyday life after a visit to the island of peace! To find out more about the island click ..here..